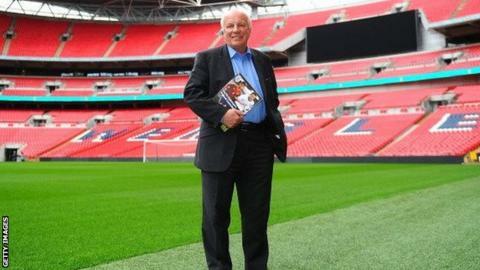 Football Association chairman Greg Dyke has said he will return a £16,000 watch given to him by the Brazilian Football Confederation (CBF). Fifa has asked officials to return the watches or risk disciplinary action. The commemorative gifts were handed out by one of the CBF's sponsors to various people at the World Cup, including 28 members of Fifa's executive committee. "We are taking steps to return the bag and its contents, which are still in their original packaging," Dyke said. "This is awkward for Greg Dyke and the FA - and yet another embarrassment for Fifa, which is currently trying to prove that it has learnt from the corruption allegations that have blighted world football's governing body in the recent past. It raises serious questions over why senior football officials ignored - or were not aware of - the rules governing gifts, and leaves Fifa open to accusations of largesse. "Many will wonder in particular why secretary general Jerome Valcke was not aware of what could and could not be given. On the eve of a major conference about sporting ethics it is hosting in Zurich on Friday, the 'watch-gate' scandal is the last thing Fifa needed." The watches were given to 32 association chiefs, 28 Fifa executive committee members, and five other members of South American associations. Fifa president Sepp Blatter was also on the list of recipients but it is not known what happened to that watch, while Uefa president Michel Platini is returning his. Dyke says he had intended to donate the watch and other items to charity and is backing Fifa's investigation. He added: "During the Fifa Congress in Sao Paulo, a bag with a watch inside was left in my hotel room by the Brazilian FA. I had no idea of the value and it has been left untouched in my office since returning to England. "I welcome Fifa's investigation on the matter, including their intention to donate the items to good causes back in Brazil. "The fact that gifts of great value are being handed out randomly and often with the recipient unaware shows up a culture in need of change. I had actually set the bag aside in my box of items to donate to charity." Ian Watmore, former chief executive of the Football Association tweeted: "Very poor from Greg Dyke in not returning watch straightaway. Error of judgement which weakens FA stance against Fifa." Fifa vice-president Jim Boyce said he found the watch in a souvenir bag in his garage last week and will return it. Several officials did report the watches to the ethics committee. Fifa brought in a new code of ethics in 2012 as a response to bribery allegations related to the bidding process for the 2018 and 2022 World Cups. On 5 September, Fifa's chief investigator Michael J Garcia submitted his long-awaited report into the controversial bids. Fifa's ethics committee said in a statement: "The CBF should not have offered the watches, and those who received gift bags should have promptly checked whether the items inside were appropriate and, upon discovering the watch, either returned it or reported the matter. "The Fifa code of ethics plainly prohibits such gifts. Officials may not offer or accept gifts that have more than 'symbolic or trivial value'." The ethics committee, headed by former New York attorney Michael J Garcia, says the CBF distributed 65 gift bags, which each contained a Parmigiani watch, to a group that comprised the officials on the Fifa executive committee, a representative from each of the 32 national associations taking part in the World Cup, and delegates from the South American national associations. The CBF said they had paid $8,750 (£5,336) for each watch but that the ethics committee had obtained an independent valuation of 25,000 Swiss francs (£16,400). The committee said it would not instigate proceedings against officials who return the watches by 24 October. In a separate incident, Fifa also said that their Secretary General Jerome Valcke intended to give two different watches to each of the executive committee members in mid-June - but was told he couldn't by the ethics committee.